A way to a person’s heart is through the stomach’. You must have heard this old adage. Food with premium cutlery is a winning combination. Invest in high quality flatware and be a part of soul-reaching consequences when fine dining. Luxury living encompasses a wide range of elements needed to maintain specific lifestyle standards. Premium kitchenware is not farther from this goal. Empower your home with appealing cutlery designs and go to modish mode. Add that wow factor to your dinner service and before you know it, the accolades are sure to follow. A restaurateur, home maker, business mogul, or socialite – everyone throws their doors open for guests and patrons. Food with love requires attention to its service. The best way to plate your respect is through the world’s best cutlery materials. 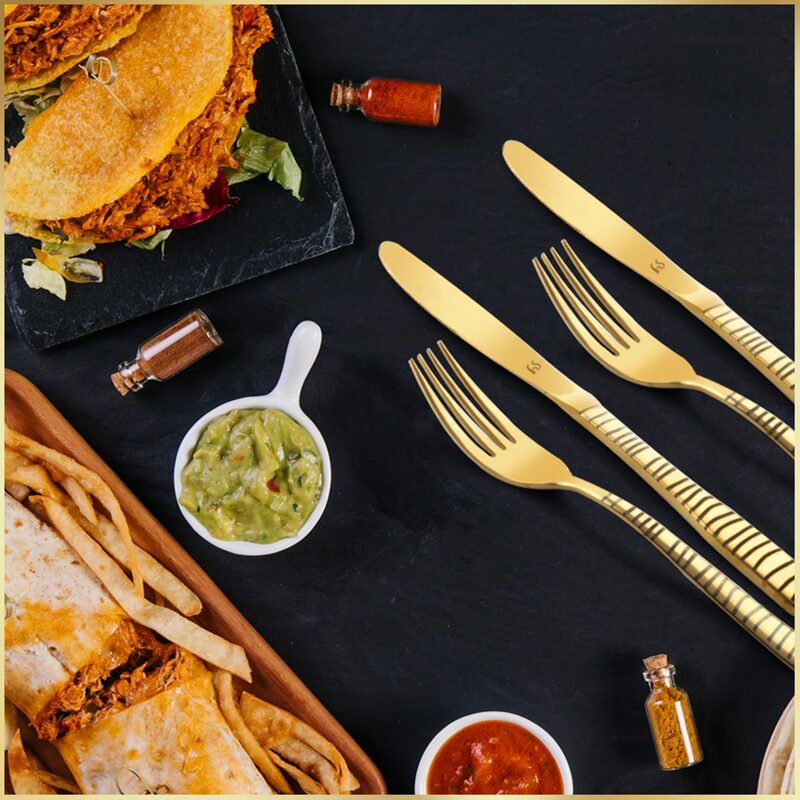 From gold plated creations to copper finish materials, sophisticated dining is the current rage among the famous. Compliment your décor with elegant flatware on your table. Shining spoons, novel knives, fancy forks; pick out your dinner set with care. Bring grandeur with tableware that speaks volumes about the host. One glance and you are sure to excel among the rest with handpicked cutlery to boast. There is a splendid variety of affordable flatware in the market; both offline and online. Research a little more on beautiful cutlery materials, avail discounts and be a proud owner of magnificent kitchenware at a reasonable price. Let the oohs and aahs flow out of your guests as they sit down to dine at your table with delicate cutlery on display. A proud moment indeed! Morning, noon and night – daily use flatware is a necessity in all homes. Spend a little more and buy the best that money has to offer. From grandma to great grandchild; leave behind these gold plated heirlooms for generations down the line. Pass on your love through lovely fine dine items. Be the ultimate kitchenware connoisseur.